1. Re-Creationism is based on Awareness of Potential, Free Will, and Choice. 2. Re-Creationism presents an Awareness of Potentials, believes we have Free Will in our Attitudes and Actions, and the ability to Choose our Destiny. 3. Existing ideas and images can be used to re-create new items to tell new stories. 4. Wisdom of the past can be reviewed and re-worked into new theories. 5. By building on the past to re-create the present, we can improve the future. 6. 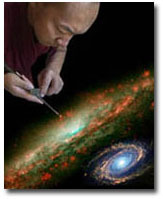 Re-Creationism helps you to re-create your Spirit thru your Potentials of Self and Higher Self. 7. To explore more on Re-Creationism or Re-Creationist theories of Spirit. Where do you want to grow? Today, is a great day to begin.